The front is same as last year’s card – no Kmart snipe so if you’re a card completist. 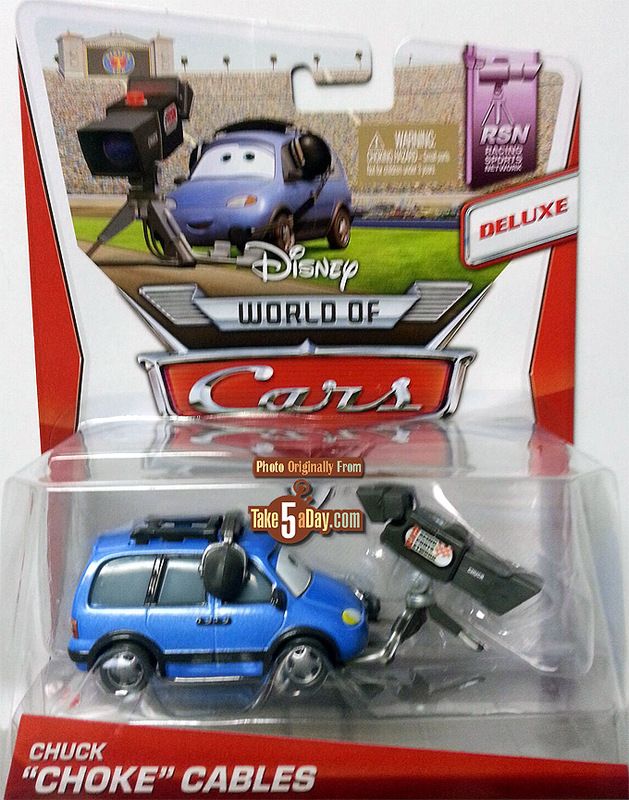 Though he may be the first Deluxe of 2014 to sport the complete Disney Pixar CARS logo. 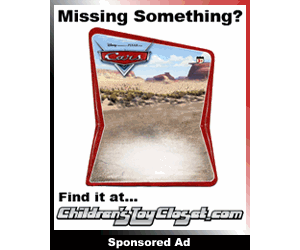 The cardback has been updated to the 2014 LEMONS cardback. And 1 Chuck ‘Choke’ Cables – while he’s been out a while, there was only 1 in the other case so now it’ll be easier to find. There’s also 2 Red – BTW, I think I kept forgetting to post this but Red 2 was upgraded to a unibody last year. In 2011, he was upgraded in the CARS 2 lineup to a longer and taller version but with a plastic faceplate. In 2013, he was upgraded to an all-metal cab unibody version like the (2014) one above. 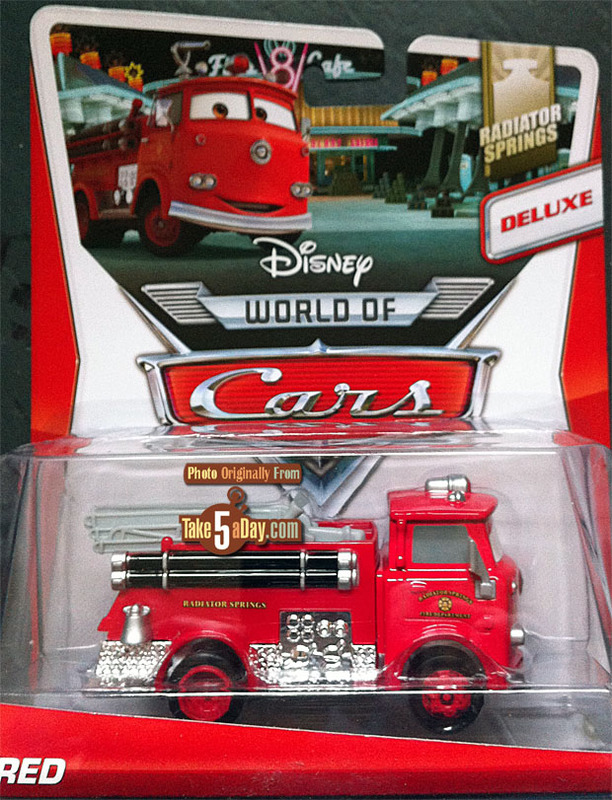 His fire equipment bed & fire equipment is plastic so you can decide – CARS 1 Red is ALL METAL where you see “red” – his cab and his bed. CARS 2 (version 2) Red is taller and longer but ONLY the cab is metal. There are 2 in the case. There is also 1 Mack in this case. Thanks for the heads up Rob, (My 7 Kids). Original Red is still my favorite Red of the 3 versions. 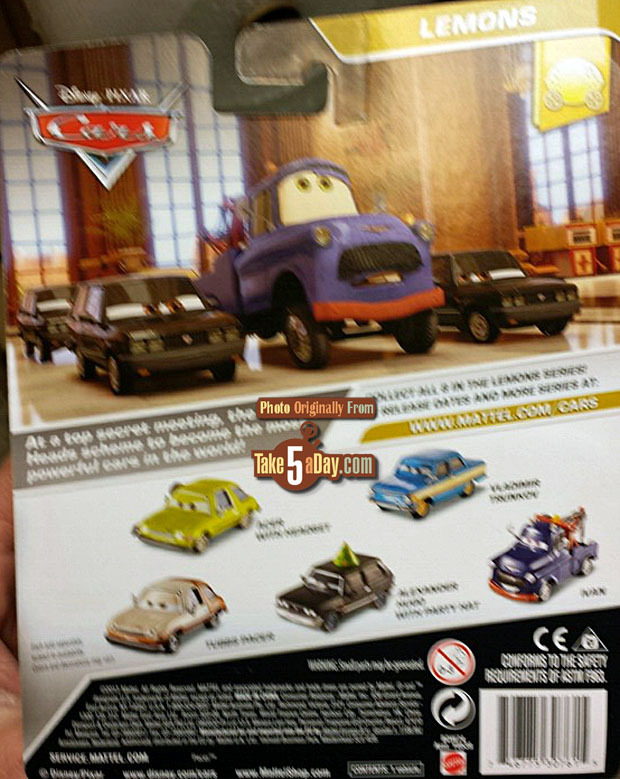 The 2011 Red’s plastic face has that color mismatch plastic, like many of the segmented Cars from that era. (MET: The weird thing is current unibody Red does not seem to weigh much more than first “CARS 2” Red – though neither comes close to sheer heft and weight or original Red). 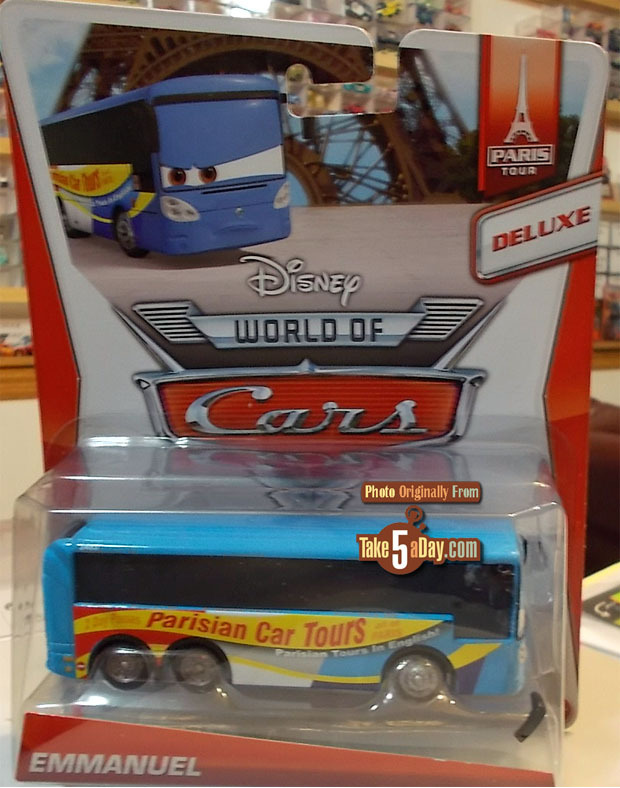 The pegs are already clogged around here with these deluxes. Be nice if they rereleased some harder to find deluxes. (Bessie, Frank, The Queen,)Where is Jungle Miles?